The following restaurants have confirmed their participation for the 2019 event. We will be updating the list as further restaurants join as event vendors. A perennial community partner Paradiso has always been there to support our event. Mediterranean cuisine served in a casual and elegant setting. Its warm, intimate atmosphere and friendly, efficient staff make Paradiso one of Burlington's most popular restaurants. 'Dinner is the Show' the eclectic menu; which draws its inspiration from the European Mediterranean, is prepared before your eyes in the open concept kitchen. Located on the Burlington lakefront, Spencer's at the Waterfront offers breathtaking views and fabulous food. The menu features market fresh fish, exceptional seafood and mouth-watering Craft Cut Steak. Guests can enjoy the sparkling lake view from inside our glass-walled dining room, or from our stunning patio. 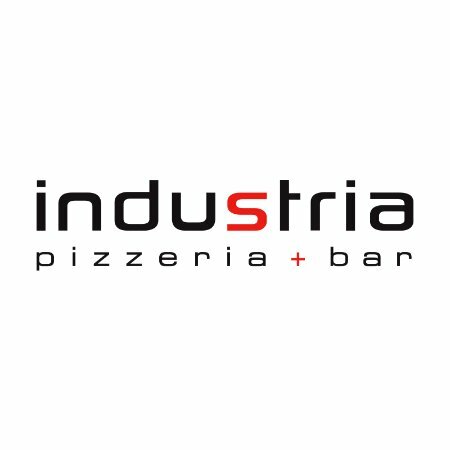 Industria Pizzeria + Bar is a modern pizzeria offering a fusion of authentic and modern Italian cuisine – SFIZI style! What is that ‘S’ word? SFIZI are Italy’s version of tapas or sharing plates. Italians love to share and the plates and portions are designed to do so. Industria Pizzeria + Bar is a modern pizzeria offering a fusion of authentic and modern Italian cuisine – SFIZI style! What is that ‘S’ word? SFIZI are Italy’s version of tapas or sharing plates. Italians love to share and the plates and portions are designed to do so. Authentic Japanese and Korean cuisine and only the finest and freshest is used in hand crafted sushi and sashimi. For over 25 years, Mickey McGuire’s Cheese has been a purveyor of’ fine cheeses in Southwestern Ontario. Carrying over 400 varieties of cheese – local, Canadian, imported – from your old favourites to World Gold Medal winners.
. Pane Fresco was developed out of a dream to create a world class bakery that would be comparable to the greats in Rome, Paris and New York but found in Burlington. The passion for the craft of artisan bread led Marc Albanese and his wife Felicia to open Pane Fresco with a commitment to using the highest quality of ingredients to provide their patrons with quality and freshness while simultaneously serving them with a smile. At The Hood, we offer a fusion of Mediterranean inspired cuisine. Imagine a culinary journey for your palate with exotic decor and ambiance that come together to create a new world for your senses to explore; the new World is The Hood. Pepperwood Brewery & Catering offers a delightful cuisine, on premise brewed beers along with a vast selection of fine wines and spirits. Whether you relax on our outdoor shaded Patio with a cool drink, enjoy our fantastic menu in the Dining Room, Pepperwood will tantalize all of your senses. Our weekend brunch is considered one of the best experiences in Burlington. We have fresh brewed beers to satisfy every palate. Our wines are from some of the best grapes around the world. We also have a menu for after dinner drinks, specialty coffees and selected ports. We are pleased to cater your event on or off premise, supplying a selection of delicacies from our menus and a host of alcoholic beverages. Allow our in-house chef's to prepare an 'evening to remember'. The Fairview location has been an active supporter of the Burlington Rotary events. Experience their delicious Pub fare – A balance of traditional Irish favourites and our North American classics. They have perfected the classic Fish & Chips, make their own pies and pastry in-Pub and feature fresh burgers like the legendary Guinness®Burger. Excellence in fine dining starts with a combination of fresh seasonal ingredients, refined culinary creativity, and an uncompromising standard for quality. Welcome to Loondocks, a culinary cornerstone in at Appleby Village in Burlington. Chef Kevin and our elegant service team welcome you to enjoy our award winning cuisine, featuring fresh local culinary creations prepared from scratch using only the highest quality ingredients. Enjoy a fine selection of wine while relaxing in our casual contemporary dining room or outdoors on our beautiful rooftop patio. Desserts like none other. French crepes and Belgian waffles served with gourmet ice cream. Coffees, teas, smoothies, cakes, and much more too. In our menu you will find a mouth-watering selection of dishes that are aimed to please, including vegan and vegetarian options. We are pleased to say that all of our dishes are halal and most of our menu items are gluten-free! "J&G Quality Meats Ltd. is a high quality Butcher Shop for the discriminating carnivore. We specialize in Dry Aged Local Beef, Fresh Ontario Lamb, hormone and antibiotic free Pork, air chilled Poultry and Hand Crafted, Gluten Free, Gourmet Sausages and Burgers." There is always something tasty being created in our Candy Kitchen, where centres are made in small batches and hand-stirred in copper kettles to let the full flavour of fresh butter, fruit, and nuts develop slowly in the traditional way. We make over 50 different exquisite chocolate, truffle and sugarless centres to tantalize your taste buds and please your palate. Our trademark Mint Meltaways are sure to become one of your favourites as they have for thousands of enthusiastic connaisseurs since 1983. A most valuable member of the Lakeside event for years and a great contributor to the Burlington community. Offering a wonderful menu with an array of fresh fish, meats and vegetables in an interesting and contemporary fashion. Great atmosphere and view over the lake from the lakeside patio. Creative development, coordination, management and execution. Unique menus, innovative execution, unforgettable culinary experiences. Limitless resources - experiences staff in all facets of food and event service. Delectable sweets that remind you of home. All of their products are lovingly created from old family recipes using the finest Belgian chocolate and pure butter. Co-owner and Executive Chef Koosh Kahnamoui developed his passion for food from the fresh and intricate flavours in his mother and grandmother’s Persian kitchens. In our continued tradition, we believe that fresh and quality ingredients are essential to balanced and dynamic dishes. All of our offerings are made from scratch. Our chefs hand select from local farms whenever possible from in-house butchered and cured meats, produce, to our own preserves. Premium Italian imports are sourced from local distributors. A wonderful addition to our local dining scene. The Olive Oil Dispensary offers fresh, seasonal extra virgin olive oils from around the world, flavour-infused olive oils, balsamic vinegars from Modena, Italy, and much more. Everything is on tap for you to taste and your favourite is bottled on the spot. 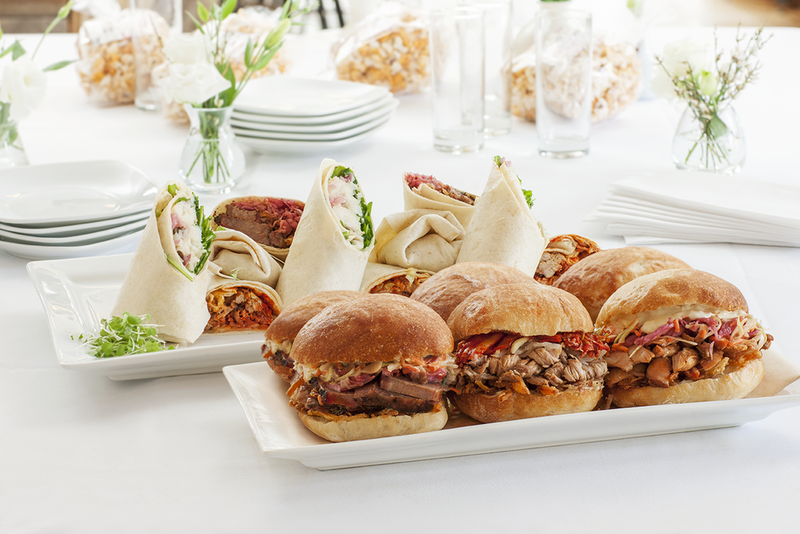 With our newest location in Waterdown Sweet Paradise, with 30 years of experience, provides the finest in quality baking, delicatessen meats and cheeses as well as outstanding event catering. Sweet Paradise is an authentic Italian bakery. All of our products are given the utmost thought and care. We guarantee a timeless taste that is certain to leave you satisfied! Please come in and see our wide variety of bread, pastries, deli meats, imported cheeses, hot meals, and much more! PinToh presents authentic and traditional cuisine prepared by two chefs trained in Thailand and using traditional ingredients. Our elegant contemporary atmosphere is perfect for special occasions, anniversaries, and date nights. Come in and experience Thai in a new and exhilarating way. We take the stress out of meal times and put the “ahhh” back on the table. We offer scratch-made, high quality prepared meals using local produce and ingredients. We deliver them to your door frozen and ready for you to heat and enjoy whenever you’re ready. You decide on what you’re in the mood to eat: our chef-created menu options offer something for every palate – some with a Latin twist, all with Familia flair! Make sure you visit their restaurant for their creative offerings with a Latin touch … it is a delight! Saving Thyme is a quaint, and inviting café located at Appleby Line and New St. in Burlington, Ontario. We invite Burlington and the GTA to enjoy the delightful European cafe ambiance. Now open for lunch and dinner they offer the most delightful freshly prepared menu. Their desserts are absolutely wonderful! Casual dining in a contemporary atmosphere. Enjoy our hardy deluxe buffet breakfast or a selection from our a la carte menu or wrap up the day with a succulent steak, fresh seafood or one of our authentic pasta dishes. Burlington’s first and only full service Jamaican restaurant! When looking for Authentic Jamaican meals, done right, look no further than your local Vivene's Island Cuisine. Oh hungry, Oh Vivene's! We are cheese people, deeply rooted in history and tradition. We’ve been crafting premium, all-natural, artisanal cheeses since 1936 in the village of New Bothwell, Manitoba. We’re proud to provide Canadians with a wide variety of natural, premium cheeses. Our tradition is a tradition of quality. With more than 30 vintages in their vineyards the Bosc family believe they now know which varieties grow best in which spot. But there is always more to learn. We believe our groundbreaking research with unique grape varieties will blaze a trail to the future of our industry. Located outside of the Old Town of Niagara-on-the-Lake, Strewn is a very special destination. Discover award winning VQA wines, a knowledgeable and friendly staff, and monthly wine education events. Enjoy lunch or dinner at the restaurant, or participate in a hands-on cooking class at Canada’s only winery cooking school. For over thirty years, Vineland Estates Winery has continually elevated the wine and culinary experience in Niagara. Here, the essence of the Niagara escarpment can be both seen – in the unforgettable landscape of undulating vineyards looking over Lake Ontario – and tasted, in the wines that are a reflection of this unique growing area. Peller Estates has been crafting quality wines for Canadians for over 50 years. Whether poured around the dinner table at home, or enjoyed during an immersive wine and culinary experience at our award-winning Niagara-on-the-Lake winery, there is no greater honour than when our wines are shared with family and friends. Today, the Peller Estates wine portfolio features four collections: Andrew Peller Signature Series, Private Reserve, Family Series and French Cross. In addition to being able to enjoy these wines at home by purchasing them through our online store, retail channels and Peller Estates Wine Club, wine enthusiasts can also experience our award-winning wines through a wide range of special events and hands-on seminars at the winery. Since opening its doors in 1980, Colio Estate Wines has won over 400 awards in competitions around the globe. Today you can enjoy the rewards of the hard work and craftsmanship that go into every bottle of our Colio wines. We continue to make expressive, refreshing white wines from our vineyards, planted with the likes of Sauvignon Blanc, Chardonnay and Riesling. We have also built a remarkable reputation for varietals and sound red wines from our extensive plantings of Merlot, Cabernet Franc, Cabernet Sauvignon and Shiraz. Meldville Wines is a virtual winery, specializing in small batch, limited edition wines created by renowned winemaker, Derek Barnett. These First Edition wines are made with little intervention and are crafted in a time honoured way, allowing the vines to tell their own story. One thing unites every wine produced by Henry of Pelham: the land. Our family has lived on it for generations. And our vines have been putting down deep roots for decades. Every bottle captures this unique connection to our corner of Niagara. Not just good wine—beautiful wine. Our pavilion is the hub of activity on the island during the Spring, Summer and Fall. Join us for an interactive wine tour, wine tasting at our tasting bar and browse our gift shop where you can purchase unique items including gift baskets ready to go or custom made. Relax in our outdoor wine garden with a glass of wine while you enjoy the surroundings of our vineyard overlooking Lake Erie. Light snacks and "you BBQ" items available at our Deli Hut will compliment your wine of choice while you enjoy live entertainment every Saturday and Sunday afternoon. Visit a genuine family farm ad sample winery and sample premium wines from the Beamsville Bench. Stroll the sloping vineyards planted in 1983 and view the spectacular panorama of Lake Ontario’s near and far shorelines. Free tasting of award winning wines is offered. Our family was born in London, England. And it’s time we brought a little bit of Britain just beyond the Beamsville Bench. That’s why Aure Wines is proud to become the London Born Wine Co.. The new 5West Brewpub and Kitchen is the crafty new name for the Purple Heather Pub. A great destination spot for 5West signature craft beers, wines and spirits blended with an exceptional menu, service over and beyond the norm and a great entertainment lineup. There is only one place you need to be and that is here at 5West. Thornbury Village Cidery and Brewery is proud to produce award-winning, premium quality, Ontario craft ciders and beer. Since 2006, our historic facility has been nestled in the famous Blue Mountains in the midst of 7,500 acres of apple orchards. At Woody's we only use the best: triple distilled British vodka, real fruit flavours, and lots of care. That's why Woody's tastes cleaner, fruitier and more refreshing. We think it's the Perfect Blend. Woody's is a range of refreshing sparkling coolers available in three fruity flavours: Pink Grapefruit, Sunshine Lemon and Passion Fruit & Pomelo.